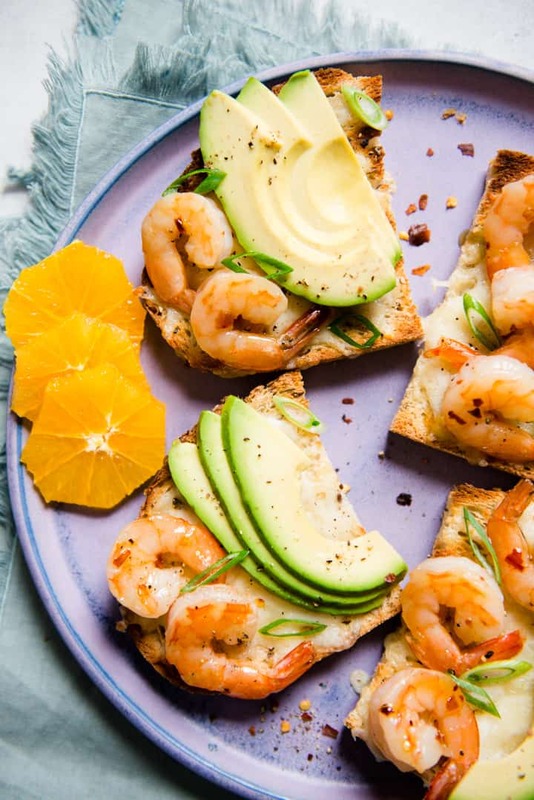 This orange honey shrimp and avocado toast is perfect for a weekend brunch or a light dinner. 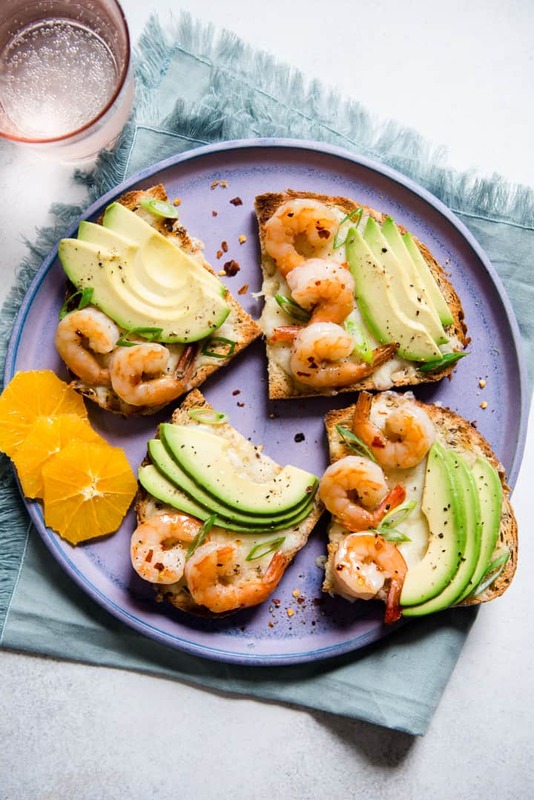 The toast is served with gooey melted cheese, succulent pan-fried shrimp, and avocado slices. Thank you to Safeway for sponsoring this post! Seafood is a huge part of the food heritage of my family. They came from the Guangdong Province in southern China, where they had easy access to fresh seafood. Eating steamed whole fish, often flavored with soy sauce and fresh herbs and spices, was very common. Even after they moved to San Francisco in the late 80s, they kept up this tradition of cooking seafood. Grandma Lin made the best pan-fried catfish with peanuts and preserved kohlrabi. Mama Lin still seasons her dishes with dried seafood, such as dried shrimp and scallops. Seafood was so important to my upbringing that it comes as no surprise that I developed a love for cooking seafood. As some of you know, our appetite for seafood has significantly skewed the food chain and disrupted the ocean’s ecosystem. 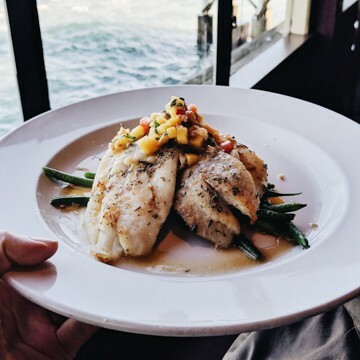 In order to maintain the health of the ocean’s natural resources and ensure a steady supply of seafood for future generations, it is important that we pay attention to how our seafood is sourced. Fortunately, there many organizations that help us make informed decisions about the seafood we purchase. Last month, Safeway invited me and several bloggers to Monterey to learn about their sustainable seafood practices. 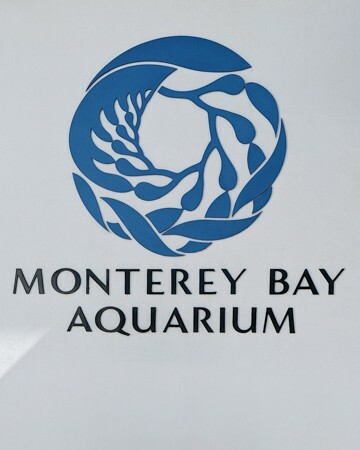 We first stopped by the Monterey Bay Aquarium to learn more about its Seafood Watch Program. Seafood Watch uses science-based and peer-reviewed studies to monitor and evaluate fisheries, particularly how their farming practices impact the environment. They also created a system that rates various seafood items in terms of their environmental impact. A green rating means “best choice”: the seafood was caught or farmed in ways that cause little harm to their habitat or other wildlife. Yellow means “good alternative”: there are a few concerns about how the seafood is caught or farmed. Finally, red means “avoid”: the seafood is either overfished or caught or farmed in ways that are harmful to the environment or other marine wildlife. Seafood Watch provides this information to seafood suppliers to inform their decisions about where to source seafood. 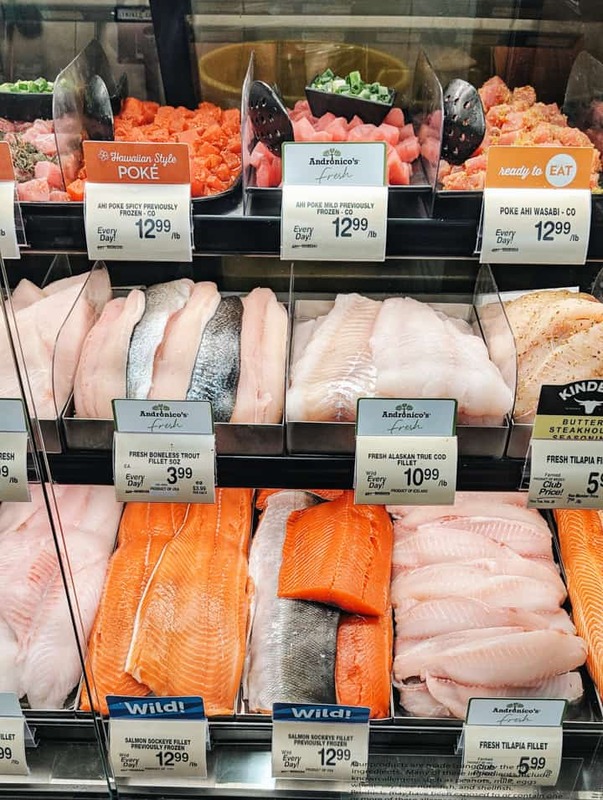 To ensure that they sell responsibly sourced Seafood, Safeway stocks their seafood from suppliers, such as Monterey Bay Seafood, who are committed to sourcing seafood that is sustainable and traceable. 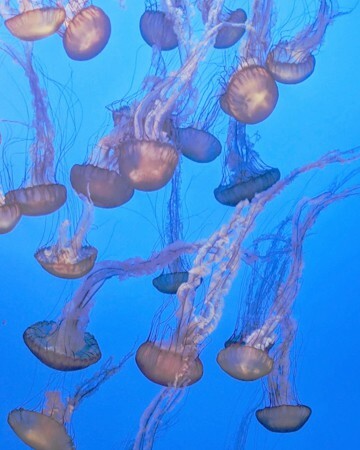 These suppliers, like Monterey Bay Seafood, are often partners of Seafood Watch. In addition, Safeway works with organizations such as FishWise to develop a robust Responsible Seafood Program across their stores. As a result, the only seafood you’ll find at Safeway stores have been rated green or yellow by Seafood Watch. As a consumer, it is comforting to know that I can walk into any Safeway store and know that the seafood I purchase is responsibly sourced. After an amazing lunch at The Fish Hopper, we all brought home a goodie bag, which provided me inspiration for this shrimp and avocado toast recipe. This avocado toast is great for brunch or a light dinner. The toast is made from The Rustik Oven’s non-gmo artisan bread. I particularly love their Hearty Grains and Seeds loaf because it’s very seedy and toothsome. The slices are also nice and thick so that they hold a lot of toppings. 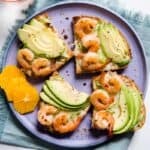 I topped the toast with melted cheese, avocado slices and shrimp that are flavored with an orange and honey chili sauce. 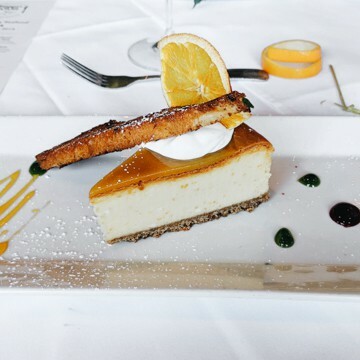 The sauce is made with Vintage Sweets Heirloom Navel Oranges, which are an heirloom variety of navel oranges. The oranges have a good balance between acidity and sweetness, which makes the juice great for this sauce. I absolutely LOVE eating the toast, and I hope you enjoy it, too! Disclaimer: This post is sponsored by Safeway. You can find all the ingredients for this recipe at your local Safeway or purchase them through Safeway Home Delivery. You can get $20 off + Free delivery on your first online order when you spend $75 or more. Use promo code: SAVE20. This looks great and I will be making this soon, but i have a question now. Although the tails make the toast look Instagram-able, isn’t it awkward to eat when you take a bite, then have to pull the tail shell out of your mouth? Hi, Phyllis! Not really. In Chinese cooking, shrimp is often served with shell on, so I am very used to pulling shells or tail out as I’m eating. You can definitely remove the tails if you prefer.